Maruthi is a visually impaired athlete and is aspiring to bemuse a national champion in cycling. To help him realise his vision and goals AMF has offered him a tandem bicycle, which is specially designed for the blind. 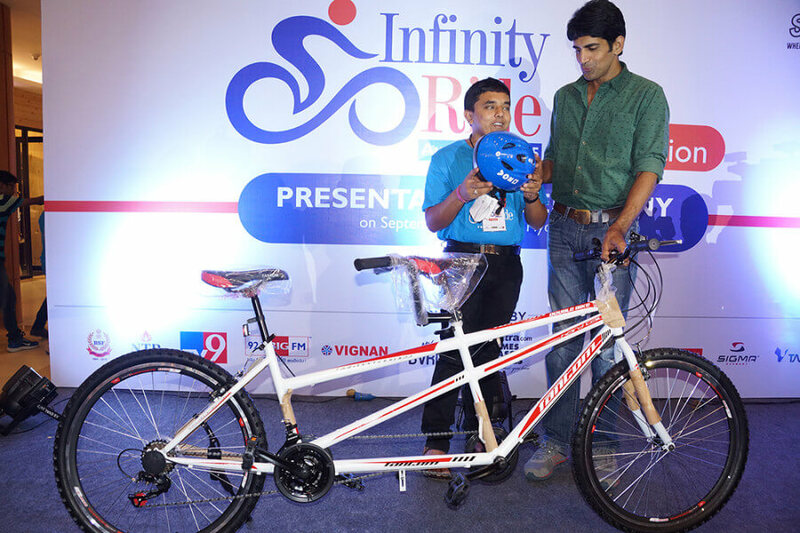 This bicycle is worth Rs 25,000/- along with accessories. Maruthi can now pursue his dream and explore a world of opportunities.